I'm finally back from my long hiatus. After my two months vacation I realized that I need far more time offline, off the blogging world to cook up all the juicy things bubbling in the back burner of my life. I know a lot of you are experiencing too this need to feel a little bit "unplug" to do some "stuffs" in our life. Well weather is great here in Southern France and raspberries, strawberries and melons arrived earlier than usual. What else is there to complain? 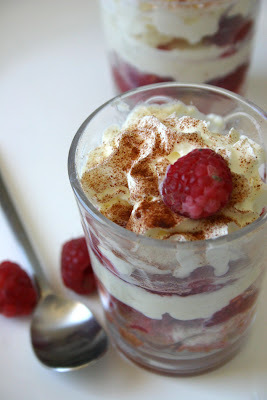 I'll be leaving you for a moment with this refreshing easy to make Tiramisu dessert with raspberries from our garden. I'm glad to be back! I'll be sending some of my Tiramisu off to Zora of Gardenopolis,our host for this month's Grow Your Own a blogging event that celebrates things we grow from our garden. A delightful blogging event created by Andrea of Andreas Recipes. In a bowl put one tablespoon of sugar and raspberries, toss them a little bit. In another bowl cream your mascarpone with an electric beater, add up the liqueur. In a separate bowl, prepare a creme chantilly using your heavy cream. Add the sugar little by little. Fold your mascapone mixture with the cream chantilly. Softened your ladyfingers with your raspberry juice. Assemble them in small glasses; ladyfinger at the bottom, followed by the mascarpone mixture, then raspberries, and again mascarpone mixture. Put them in the fridge for at least two hours. Decorate with some chocolate powder and fresh raspberries. oh how I have missed you and your delicious food my dear! A delicious Tiramisù! welcome back! Welcome back!! And you brought me a delicious tiramisu!! what a delicious return to blogging. And, I totally understand taking a break. Welcome back!!! Sounds like a good time to be in the South of France what with all the delicious fruits you can turn into yummy desserts like this! I am so happy to see ou back; ow is your cute little daughter doing. Here too weahter is spplndid and the summer fruits are in abundence. 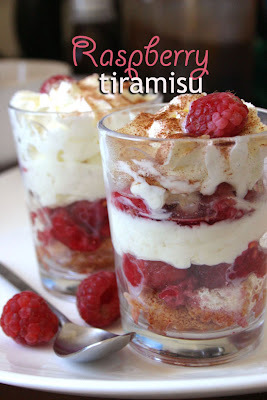 Never had tiramisu with raspberies. I should try them, looks really yummy. Sarap naman your comeback! Will really have to try some of your dessert recipes. Welcome back ateng! Missed you, missed you, missed you. Welcome back dear girl. Please don't take such long breaks. Was wondering what became of you. How's the little poppet? Welcome back, & it's lovely to see a beautiful dessert...YUM! Welcome back Dhanggit! I was wondering where you had been. Dhanggit!!!!!!!!!! !Finally you come back, and how is my nephew???? FINALLY, you'e back ! i thought you're still in the island and savouring the sea, sun and food ! Anyway, I like this welcome dessert you made and will try this for sure! Will tell you the outcome !!! cross your fingers and toes lol ! welcome back? i'm sure you had a great time with family back home. another great and yummy dessert! Welcome back! I totally loved this dessert, yummy! Well welcome back buddy! We've all been there before, myself included :) I'm looking forward to whatever chocolate crazy you have going on in the future. Welcome back my dear! And you came back with such a delicious recipe! I love anything tiramisuish! Gto see you back and with a beautiful dessert. Oh how pretty! We love raspberries and have not had success getting the bushes to grow, but we'll keep trying. 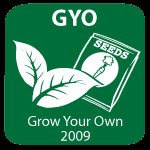 Your tiramisus are luscious, thanks for sharing them with Grow Your Own! Hello, i think that this blog is the best that i have read.